Germany's Far Right Finds A New Stronghold In Bavaria, And It's Costing Merkel A booming economy and ever fewer migrants crossing the border haven't eased a populist backlash against the German chancellor's political allies in the wealthy alpine state of Bavaria. German Chancellor Angela Merkel's political allies in the wealthy alpine state of Bavaria risk losing ground to the far-right Alternative for Germany, or AfD, party in upcoming regional elections. One of the Bavarian cities where AfD is especially popular is Ingolstadt, which is hardly a typical stronghold for the far-right faction that traditionally plays to Germany's working class in the less affluent, formerly communist east. Luxury cars abound on Ingolstadt's cobblestone streets and the 137,000 residents of the medieval city, where carmaker Audi is headquartered, enjoy the highest per capita income in Germany. But as well off as people in Ingolstadt are, many there are nonetheless anxious about their future. The party's candidate in Ingolstadt is Johannes Kraus von Sande, 48, who embraces the same campaign line the AfD used to win 13 percent of the vote in last October's national elections: Uncontrolled migration threatens the German identity, security and economy, and the mainstream political parties aren't doing anything about it. "As our campaign posters say: The AfD fulfills the promises the CSU makes. The CSU's failure to keep promises has pretty much defined the whole history of that party," Kraus von Sande said in an interview with NPR. "The city has changed a lot," Kraus von Sande said, recalling how when he went to high school in Ingolstadt, everyone knew everyone else by name. Kraus von Sande said he doesn't have a problem with all Muslim immigrants: "We have the Turks and I must say they are strongly integrated in German society and some of them are critical of Islam." But he said the migrants coming from the Middle East and Africa since 2015 — when war and poverty, coupled with Merkel's open-door refugee policy, led to well over a million new arrivals in Germany — are causing more problems. He said the earlier arrivals he speaks to don't want newcomers who don't or can't fit in or fail to contribute to the German economy. The law needs to change, and they are looking to AfD to help with that, Kraus von Sande said. "That definitely needs to happen very fast." He said it would be better for his city – and his political party — if the German government wasn't operating a large refugee processing center for asylum seekers on the edge of Ingolstadt. That center, which housed about 1,400 migrants last year, was transformed in August into an "AnkER" center – a blend of the German words for arrival, decision and repatriation — and houses new arrivals who aren't likely to qualify for asylum so they can be processed and deported more quickly. But Grob criticized the AfD for capitalizing on fears rather than facts. Even though crime is up 11 percent in Ingolstadt, "the reality is that we have not had such a low crime rate for 20 years now," Grob told NPR. "The other side is that refugees are proportionally over-represented in the crime statistics." He said that's easy to explain: Most asylum seekers are young men, and as a demographic, they – no matter what their racial background – are more likely to commit crimes. Grob said many of the crimes by asylum seekers are happening at the transit center. He added that German voter backlash against the CSU and other mainstream parties is about a lot more than asylum seekers or the AfD. He called it "German angst." "People are afraid of a societal decline," Grob explained. "We're doing very well here. We feel so good that many think it can't get any better and that in fact, it's going to go down and maybe faster." A diesel emissions testing scandal and other problems at Audi have exacerbated such worries, he said. So have skyrocketing rents in the city. Older residents are also struggling with pensions that aren't keeping up with the rising cost of living in Ingolstadt. Another reason AfD is doing well in Ingolstadt is that it isn't a university town, says Luzia Grasser, an editor in the Ingolstadt office of the daily Augsburger Allgemeine. "Ingolstadt has a relatively conservative voter class, so protest voters may not vote in the left milieu" compared to what's happening in the rest of Germany, where the left-leaning, environmentally friendly Green Party has climbed to the number two spot in the latest opinion poll. The far-right party has put up billboards around Ingolstadt warning of Muslim hordes stripping Bavaria of its Christian identity, pensions and benefits and fostering insecurity. One such billboard showing a white woman looking back in fear at two hooded men, and urging voters to cast their ballots for AfD to "protect our women and children," stands across the street from a grocery store frequented by the many German Russians in the working class neighborhood of Piusviertel. The neighborhood, with its apartment buildings, pristine parks and playgrounds, is home to many of Ingolstadt's Turkish and Middle Eastern immigrants, who are reporting more harassment and abuse — especially of women wearing headscarves — since AfD began campaigning here. The community center there offers a wide range of programs to help residents seeking employment, integration into German society and culture and language. One of the volunteers is Yeser Saygili, who immigrated to Ingolstadt from Turkey a quarter century ago and speaks fluent German. "I help a lot of immigrant women who are looking for jobs. One office looking for a cleaning woman recently asked me if the applicant wore a headscarf," Saygili said. "I was, like, 'Hello, how far have we regressed?' In the end, she didn't get the job." Saygili says she fears a far-right win in Bavaria on Sunday will only make things harder for Muslims in Ingolstadt. 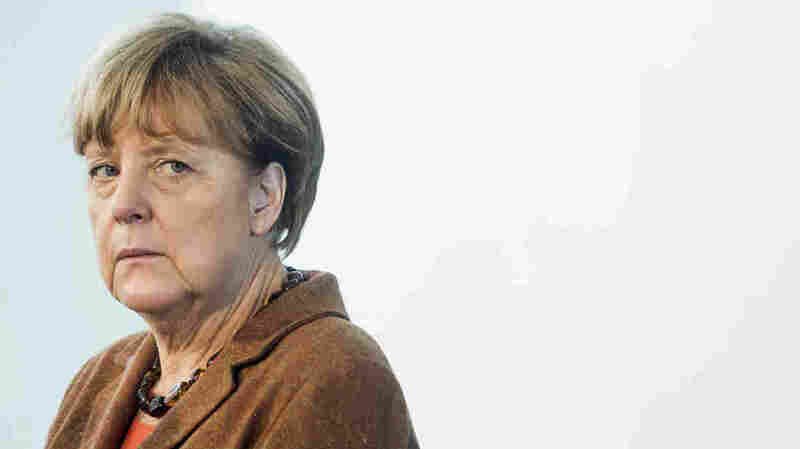 Political observers say it could also lead to a reshuffling or worse of Merkel's cabinet, as her interior minister, Horst Seehofer, is co-leader of the CSU party and would feel pressured to resign following a poor election result.